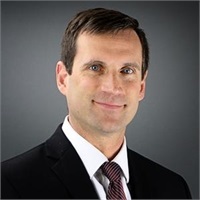 Mark is a Financial Planner, Financial Services Executive, and Wealth Management Advisor at Barnum Financial Group, with over seven years of service helping his clients achieve their personal and financial goals. Since joining Barnum in 2009, Mark focuses on protection planning for families and businesses. Being a part of a team, Mark takes a collaborative approach when working with his clients to provide the customer service that they deserve. During his time at MetLife, Mark earned the honor of being a Leaders Conference qualifier from 2010-2016. This honor is awarded annually to those Financial Services Representatives who have successfully demonstrated the ability to attract, develop and retain clients by helping them meet their financial security needs. Mark is a graduate of Bucknell University where he earned a Bachelor’s degree in Biology. He was also on the men’s Division I lacrosse team at Bucknell. He is designated as a CERTIFIED FINANCIAL PLANNER professional (CFP®), a Chartered Financial Consultant (ChFC®), a Chartered Advisor for Senior Living (CASL®), and a Chartered Life Underwriter (CLU®). Mark holds his series 6, 7, 63, and 65 Securities Registrations and is also licensed to sell life, accident, and health insurance. In his spare time, he enjoys working out to stay fit and playing golf. Mark lives in Durham, Connecticut with his wife, Emily, and their two children, Lauren and Andrew.